Carrying out service and maintenance is very easy. All parts in the Compact HRE SB system boiler are easily accessible. Furthermore, most parts are interchangeable throughout the entire range. Intergas is proud of the fact that even its first condensing boilers can still be serviced today. A comforting thought! The heat exchanger forms the heart of every high-efficiency boiler. That is why Intergas over many years has given so much expert attention to this specific component. Intergas is now one of the market leaders in innovative heat exchanger design. 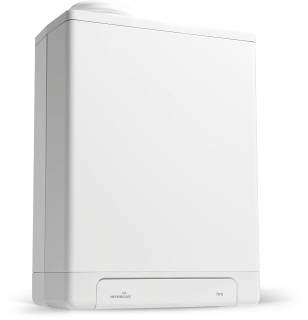 The heat exchanger of the Intergas Compact HRE SB high-efficiency system boiler has over a period of more than 10 years proven to be extremely reliable.